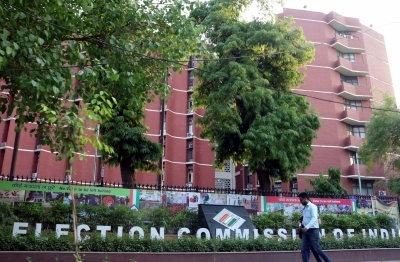 New Delhi, Nov 22 (IANS) The Election Commission on Thursday announced the schedule for by-elections to fill the two vacant Assembly seats of Jasdan in Gujarat and Kolebira (ST) in Jharkhand on December 20. The counting of votes will take place on December 23. The date of issue of notification for the two by-polls is November 26 and the last date of nominations is December 3. Scrutiny of nominations will be done the next day and the last date for withdrawals is December 6. The electoral rolls for the two assembly constituencies with reference to January 1, 2018 as the qualifying date has been finally published, the Commission said. It said it has decided to use EVMs and VVPATs in the by-elections in all the polling stations. Adequate numbers of EVMs and VVPATs have been made available and all steps have been taken to ensure that the polls are conducted smoothly with the help of these machines.